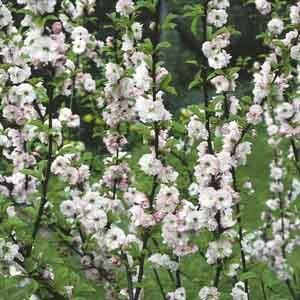 While you won't get almonds from this Prunus, you will get loads of lush bloom clusters! 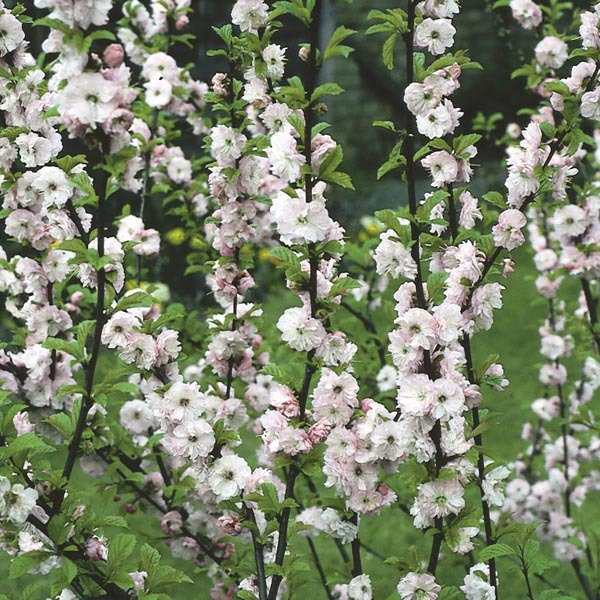 Pruning shrub forms back to 6-12" (15-30cm) above the base, after flowering, will bring a flush of new growth to fill the summer garden and an abundance of flower buds for next spring. Makes a breathtaking specimen plant. Best in fertile, well-drained soil. Water regularly until established.